The president of Belarus’ Unions Federation Mikhail Sergeyevich is visiting Cuba at the invitation of the local Workers’ Confederation (CTC). The visitor and his large delegation were welcomed by Raimundo Navarro, member of the National Secretariat of the Cuban Workers’ Confederation. Navarro conveyed a message of greetings on behalf of all Cuban unions and workers. 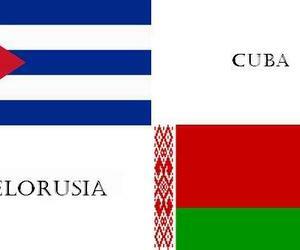 The Belarusian delegation will tour historic places in Havana, labor centers and will meet union leaders and workers. Belarus’ Unions Federation was founded October 1990 and it groups 28 worker organizations, plus 137 districts and municipal associations which in all include over 4 million people in different sectors, standing for 95.5 of the economically active population. The organization aims at improving quality of life, the conditions to protect the families, the coordination of actions to protect labor, social and economic rights and the legitimate interests of all its members.